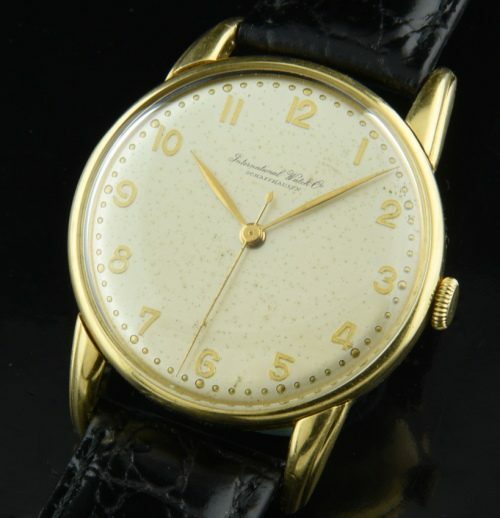 Here is a 1950’s IWC-International Watch Company Schaffhausen in 18k. solid gold measuring 34mm. with 42mm. elongated and beveled lugs-no dings or major scratches. The dial is completely original and has some patina. Look at these amazing raised gold Arabic numerals! The leaf style gold hands are original. The manual winding IWC movement sparkles and is accurate after a recent cleaning. 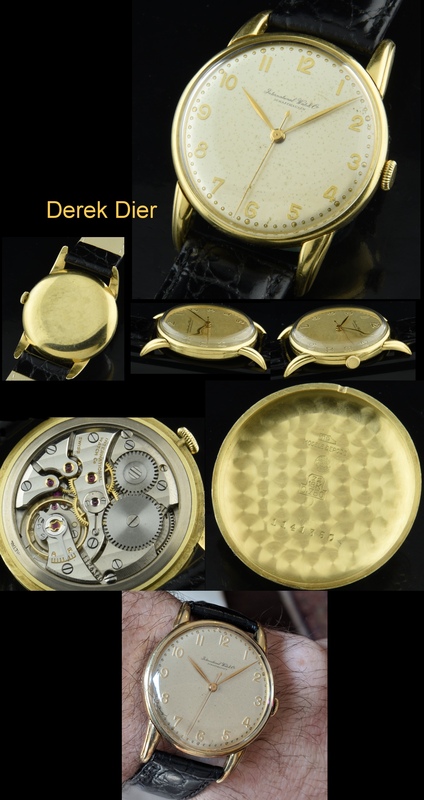 What a classic and fine looking watch.